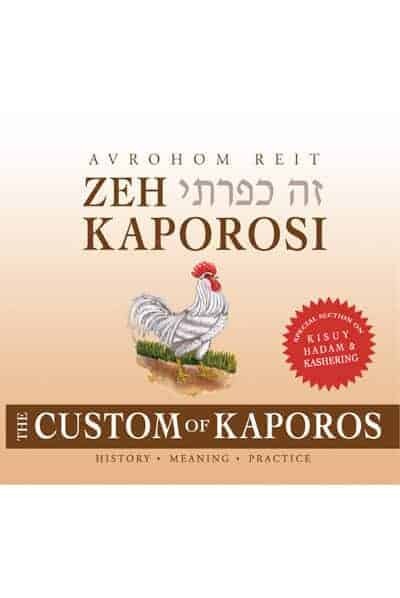 The minhag of kaporos is widely practiced, often discussed, and occasionally criticized. Interestingly, it is usually misunderstood – even by those who perform the ritual every year. With an amazing depth of scholarship and research, and an engaging, easy to-read style, Avrohom Reit has created another masterpiece: full of new information and sources for the scholar, practical suggestions and tips for the practitioner, and inspiring explanations for the beginner. This volume will change your perspective, enrich your practice, and deepen your entire process of coming back to Hashem. The Tekufas Hashanah series provides a refreshing, hands-on approach to certain mitzvos that have not been easily accessible to the layman. The books are distinguished by the clarity of their language, their down-to-earth style, the beauty of their photography, their eye-catching layout, and most of all their purpose: the demystification of mitzvos that people might otherwise be hesitant to approach. The reader, led along by a master teacher, emerges from the experience well informed and empowered.